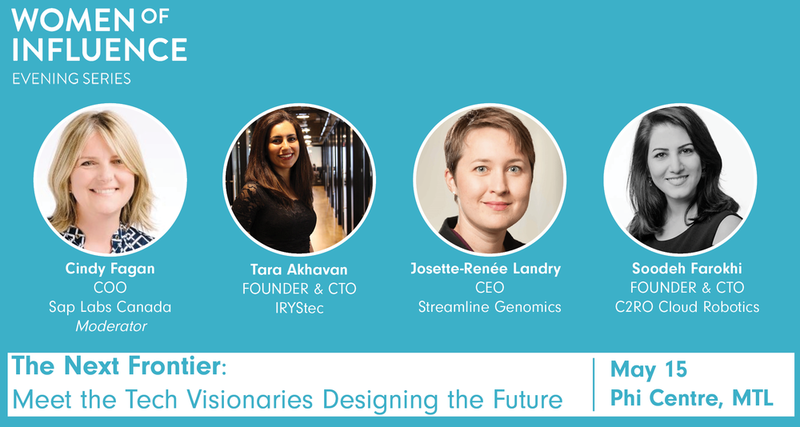 Crescendo is excited to announce that it has partnered with Women of Influence to give away two tickets to Women of Influence’s upcoming Evening Series Event on May 15th, The Next Frontier: Meet the Tech Visionaries Designing the Future. This event is a fantastic opportunity for budding tech entrepreneurs and industry professionals to gain key insights from Montreal’s top tech entrepreneurs. Soodeh Farokhi: a visionary tech entrepreneur with a Ph.D. in Computer Science who was recognized last year as one of the top digital innovators in the world and the top young entrepreneur in Quebec. In 2011, she became the co-founder of the first research-industrial institute in the field of Web service & service-oriented architecture (SOA) in Iran. Today, as the Founder and CTO of the award-winning software startup, C2RO Cloud Robotics, Soodeh is passionate about applying AI to enable cognitive capabilities for affordable service robots and other smart devices that can increase business efficiency and improve the quality of life. Tara Akhavan: With a bachelor’s degree in Computer Engineering, a Masters in Artificial Intelligence, and a Ph.D. in Image Processing and Computer Vision from Vienna University of Technology, Tara is regarded as a brilliant innovator and pioneer in the field of perceptual display processing for the automotive industry. In 2015, she became the Founder and CTO of IRYStec, a Montreal based start-up that is revolutionizing the visual experience of portable displays. Prior to that she was awarded for scaling a major telecom product all the way from analysis and design to deployment in a 3GPP mobile network with 20 Million subscribers. Josette Landry: While working towards her Ph.D. in Genetics, Josette began her entrepreneurial career when she co-founded a consulting firm that provided bioinformatics services to the Vancouver biotechnology sector. Today, as the Founder & CEO of Streamline Genomics (Techstars NYC’18), her focus is on developing a platform to help clinicians and researchers benefit from genomic sequencing without the need for data analysis expertise. In addition, Josette is the inaugural Innovator in Residence at Sainte-Justine Hospital and a visiting scholar in the Faculty of Medicine at the Université de Montréal. 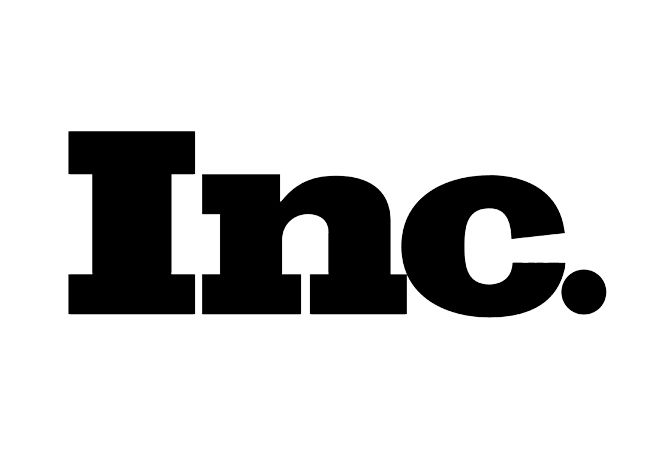 Join Women of Influence for an inspiring evening with the stars of tech, plus enjoy a networking reception with wine and canapes and a chance to enter a $5,000 value door prize! *Contest participants must reside in Montreal to enter, winner will be chosen at random and announced on April 15th, 2019.
and shifting society’s view of success to be more inclusive.